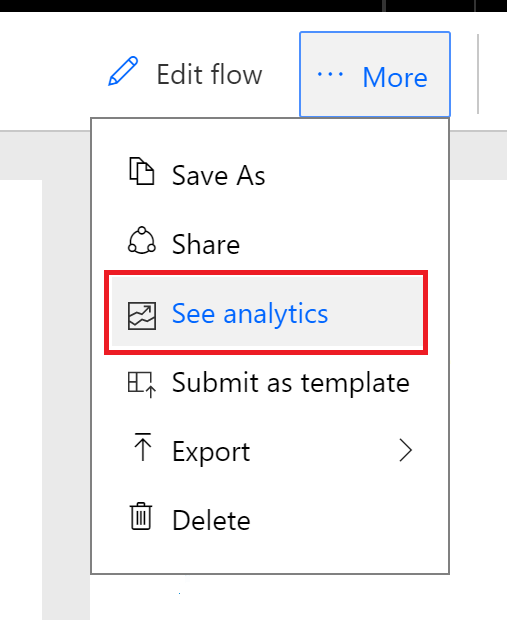 Option 1: From the Maker Portal (https://flow.microsoft.com), navigate to the My flows or Team flows lists, click on the … dropdown and then click on See analytics. Option 2: Select the flow you are interested in from the My flows or Team flows list. With your flow selected, you will see a See analytics link. Click on this link to view the analytics for this flow. Option 3: On a flow's main page, click on the More dropdown and then click on See analytics. Using any of these approaches, you will be transitioned to an analytics experience for that specific flow. As you can see in the following image, there are 3 visualizations available for us to explore. The current experience is focused on the number of run executions and whether they are successful or have failed. We provide both metrics over a span of the last thirty days. Note: It may take up to an hour for analytics data to appear within this dashboard. If you are looking for instant run execution data, please see run details for a specific flow. Accessing Flow Analytics requires a Flow Plan 2 license. If you do not see the See analytics link appearing in the maker portal, that means that you do not meet the minimum licensing requirements. 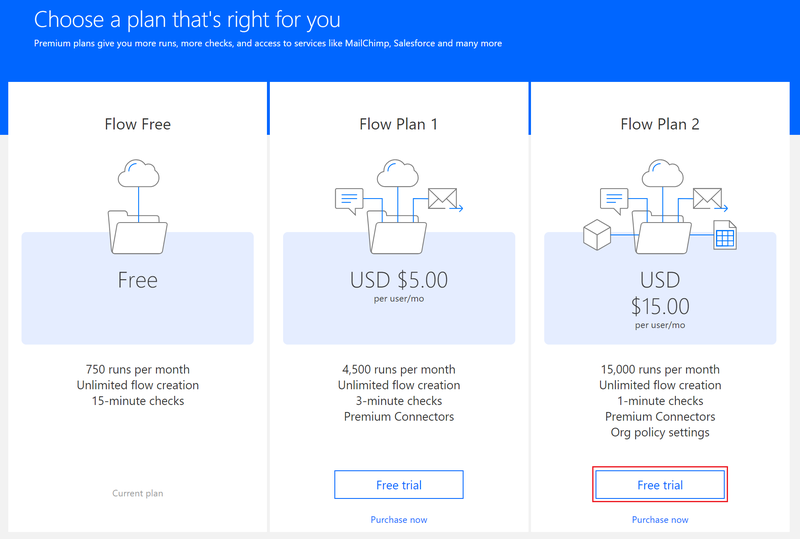 For more details about Flow licensing, including signing up for a free Flow Plan 2 trial license, please visit our licensing page. This is the first set of visualizations and metrics that are included in Flow Analytics. Stay tuned for additional visualizations and metrics related to error details. 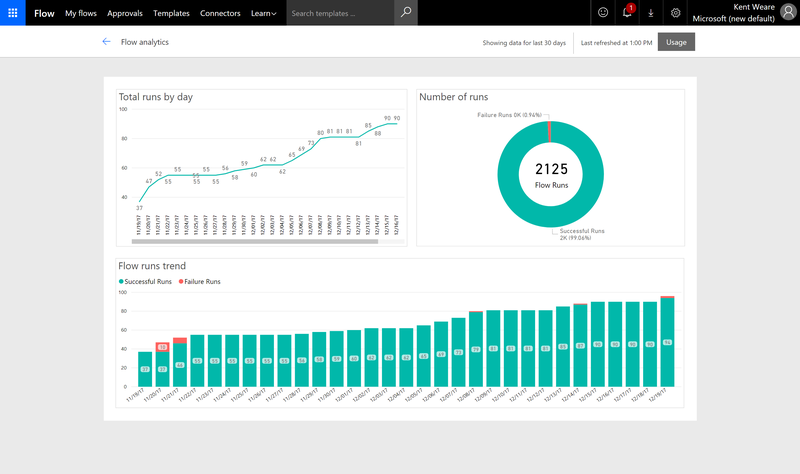 Flow Analytics for Admins is another capability that we are investing in. If you have ideas for analytics or other feedback, please leave us comments below or post on our Community forums.